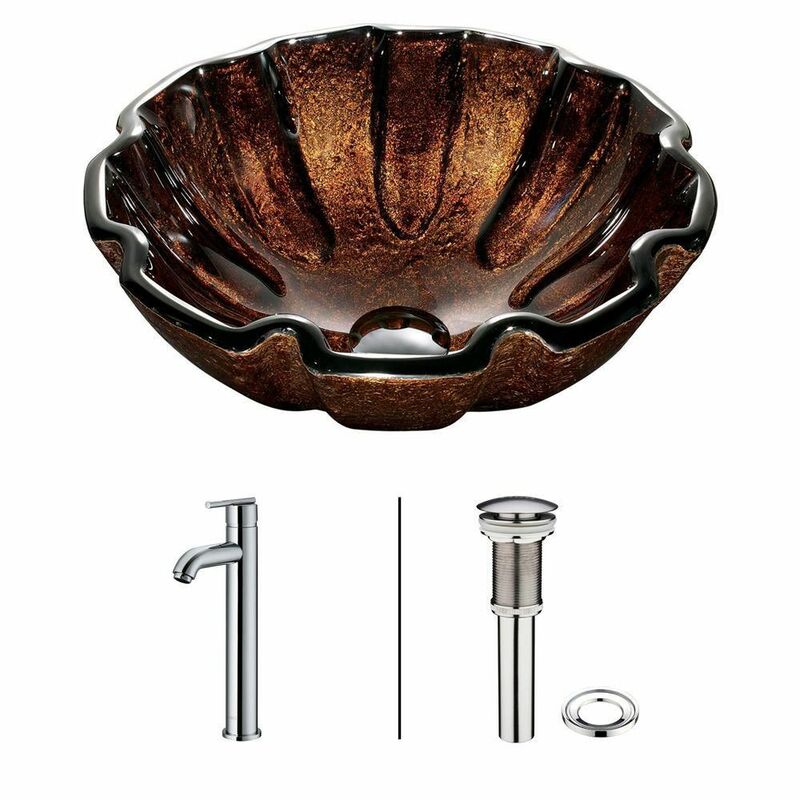 Glass Vessel Sink in Walnut Shell with Faucet in Chrome is rated 5.0 out of 5 by 1. Rated 5 out of 5 by Lindasz from gorgeous sink I absolutely love this sink. It took me 3 years of looking to it. It's in a small 2 piece bath off the rec room and it's really almost too big but it makes such a glorious statement. The colors are so beautifully done going down the bowl and the same is so interesting. It's of very high quality as is the hardware with it. My rent guy was impressed.